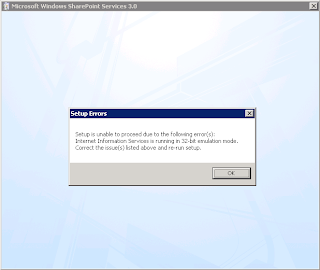 Ayman's Tech Blog: Internet Information Services us running in 32-bit emulation mode. Internet Information Services us running in 32-bit emulation mode. 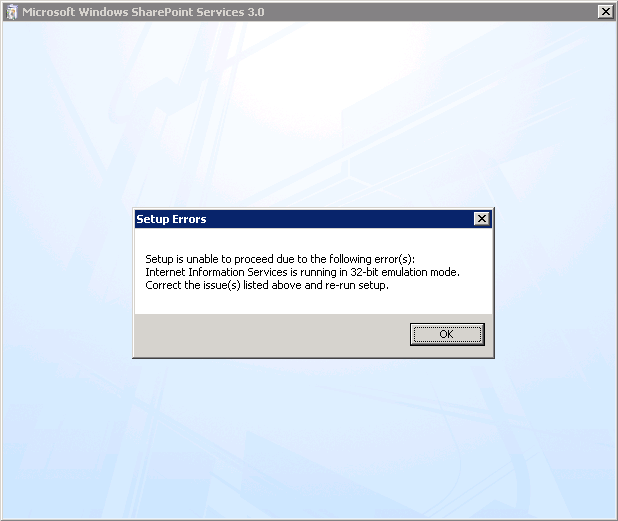 Internet Information Services is running in 32-bit emulation mode. Correct the issue(s) listed above and re-run setup. 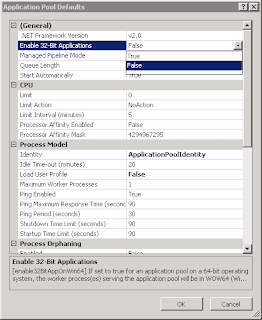 To fix the problem disable 32-bit support in the default application pool settings. 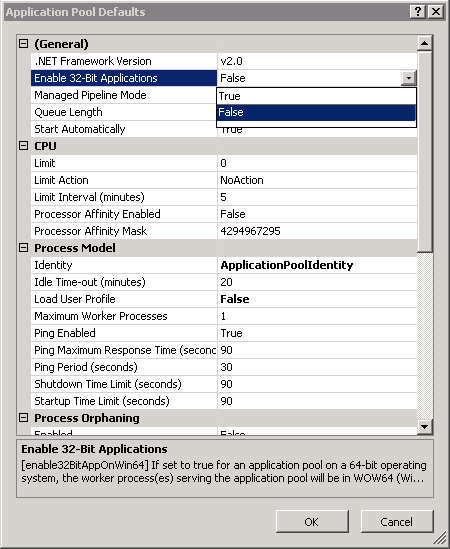 From IIS Manager -> Application Pools -> Set Application Pool Defaults, set ﻿the "Enable 32-Bit Applications" to False. Excellent blog, more on useful stuff here. Thanks for sharing!